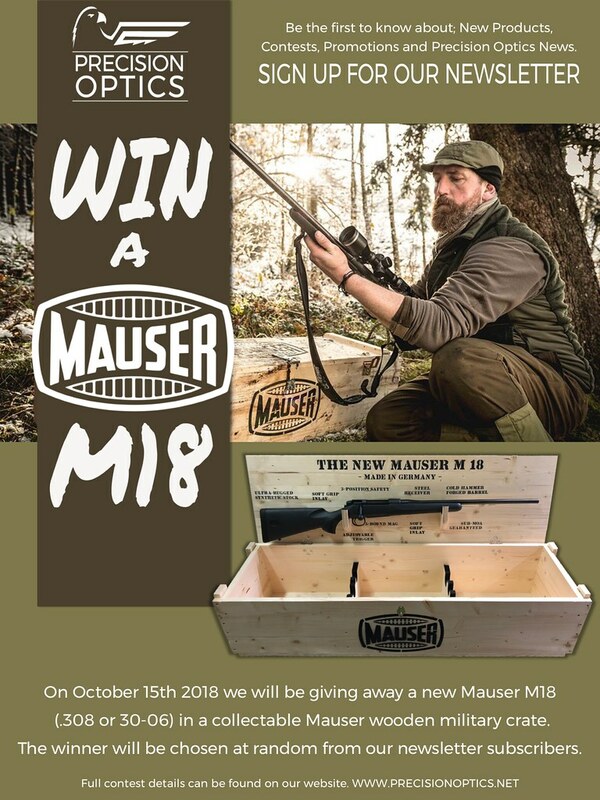 Win A Mauser M18!!! WINNER ANNOUNCED! Thread: Win A Mauser M18!!! WINNER ANNOUNCED! Mr. Roy Barrick aka "guns4mywife" of Thompson, Manitoba! You are the winner of a shiny new Mauser M18 rifle in .308 and an awesome Mauser M18 display crate! Thank you CGN for all of the entries and stay-tuned for great deals and more contests!!! Last edited by plainSight Solutions; 10-16-2018 at 11:07 AM. "Gun control is like trying to reduce drunk driving by making it tougher for sober people to own cars"
I'm in as well...but if you could find a .243 in the heap when you award me the prize, I'd be especially happy! October 15th (the draw date) is my birthday, and that'd be a hell of a present! Firearm owner, hunter, OFAH and CSSA member. Awesome. I'm in, thanks, maybe I'll win and gift to the old man for his birthday.